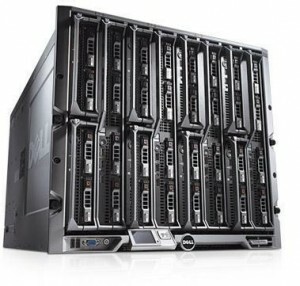 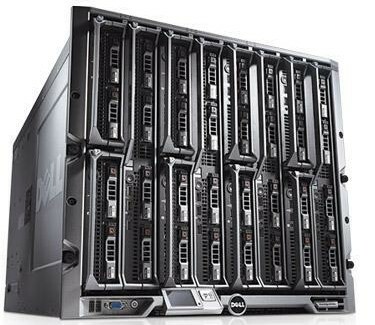 NETlab has purchased and installed a 120 core Dell PowerEdge blade cluster based on the M1000e chassis and dual INTEL Xeon 20-core processor blades. 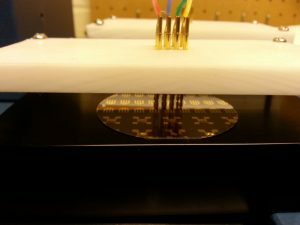 This cluster was funded by an NSF CI TraCS equipment supplement grant (http://nsf.gov/awardsearch/showAward?AWD_ID=1449418). 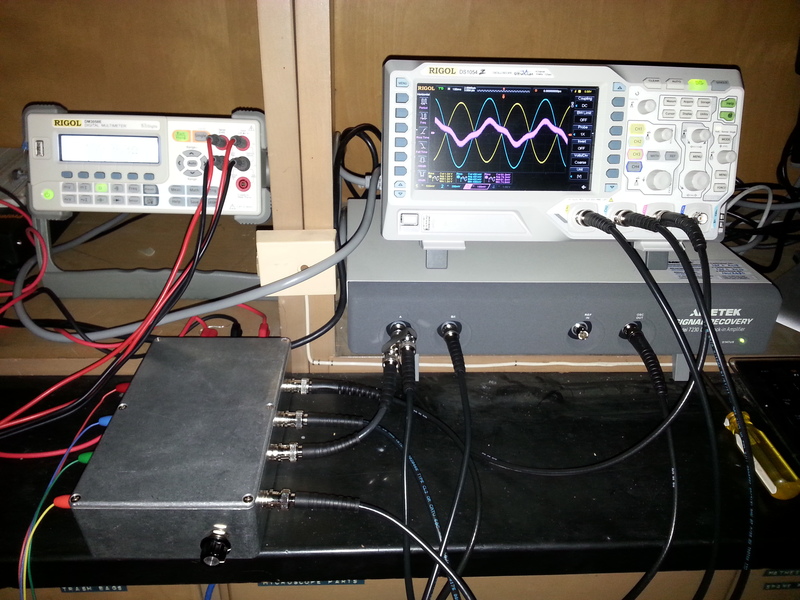 NETlab is equipped with a thin-film resistance thermometry setup based on the 3-omega method. 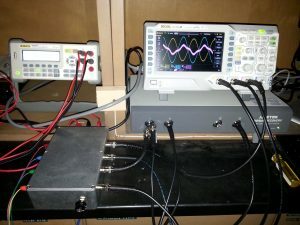 The setup consists of a Signal Recovery 7230 Lock-in amplifier with web interface (bottom right), a 4 channel Rigol 1054z digital oscilloscope, a Rigol DM3058 multimeter for 4-wire resistance measurements, and a custom-built interface box (bottom left) containing a Howland precision voltage-to-current converter and several instrumentation amplifiers for signal connections. 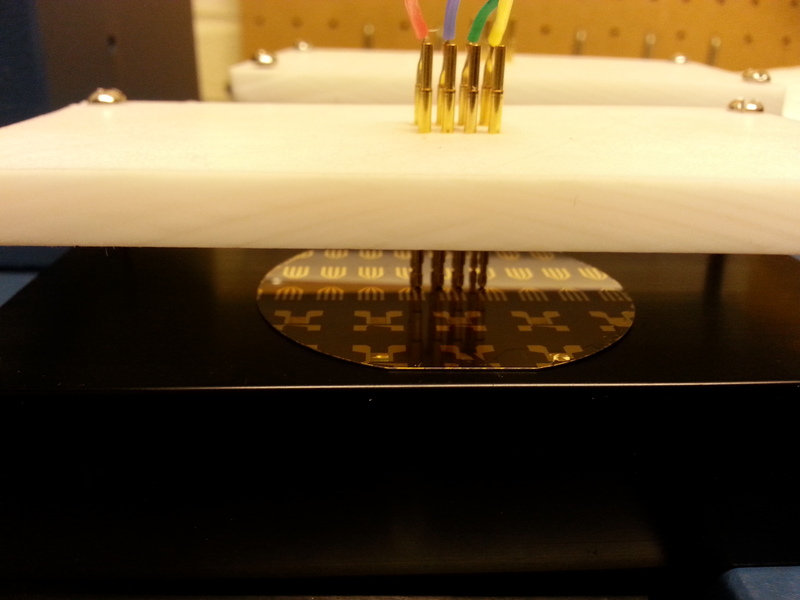 The thin film samples are placed on a heatsink in a custom mount with gold pogo pins to make contact to the 3-omega measurement pattern, created using gold evaporation in the Conti Nanotechnology Cleanroom (http://nano.pse.umass.edu/). 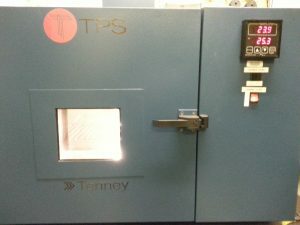 Temperature is maintained by placing mounted samples in the TPS Tenney Jr. temperature chamber.